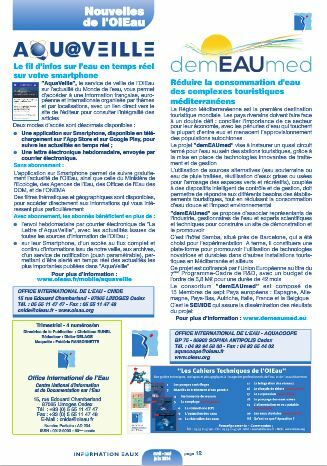 Quarterly publication in French from the International Office for Water; See the electronic publication online no. 611. Announcement of demEAUmed kick-off meeting. Brief article on demEAUmed project launched published in the Newsletter of International Water Association (IWA) - Specialist Group on Modelling and Integrated Assessment (MIA), Volume 9, number 1, March 2014.